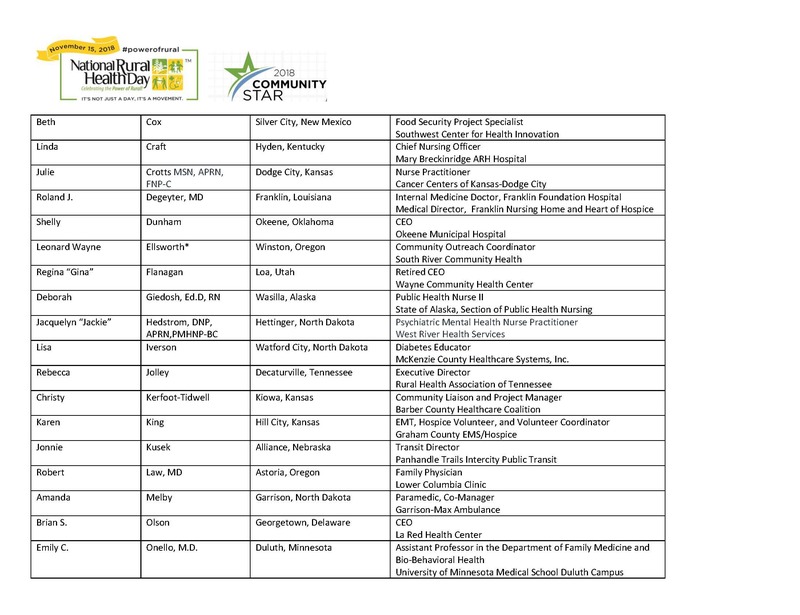 Every year in the United States, the third Thursday of November is recognized as National Rural Health Day. 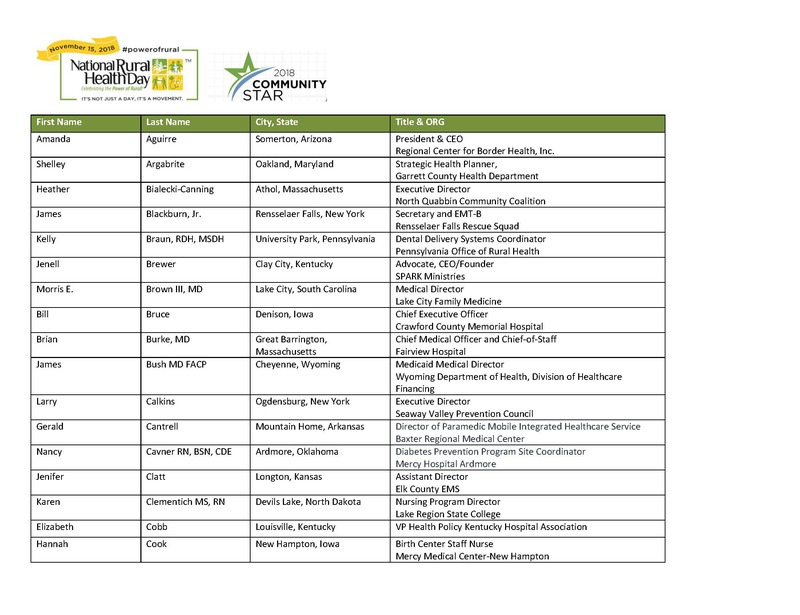 On Nov. 15, 2018, the National Organization of State Offices of Rural Health (NOSORH), the 50 State Offices of Rural Health, Federal, state and local agencies, and healthcare organizations across the country will honor the thousands of men and women, hospitals, healthcare professionals, emergency first responders, and others serving the unique health needs of nearly 60 million rural lives. 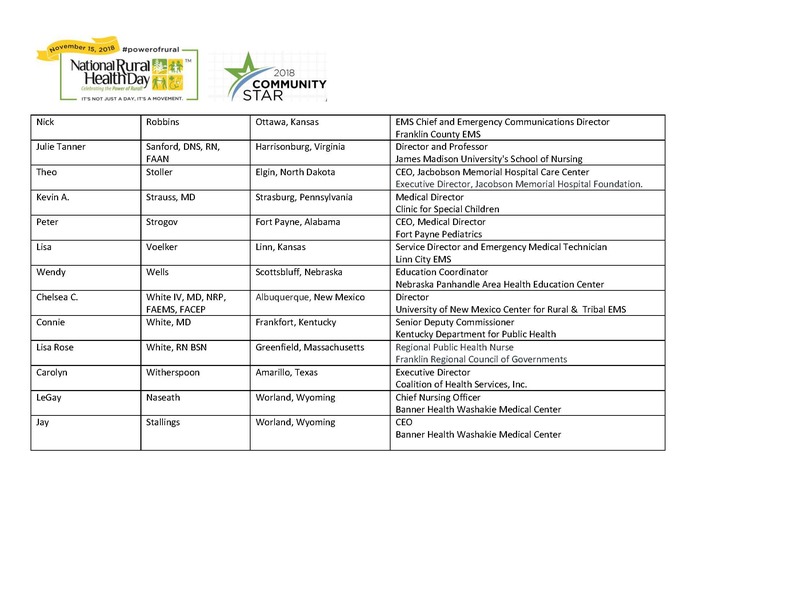 Contact [email protected] for additional information, and to receive their profile in advance of National Rural Health Day, or schedule an interview.